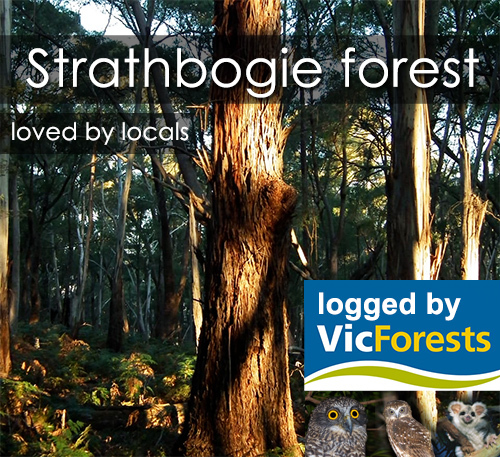 ← Strathbogie forest rally – c’mon Lily, get on-board. Minister d’Ambrosio – can you and your Department of Environment honestly endorse this action? After years of telling us how important it is to have sawlogs for the booming native hardwood industry (NOT! ), VicForests have trotted out a contractor to tell us he’s logging some of the richest forest left on the Strathbogie Ranges for firewood, FIREWOOD?! In fact, the contractor boasts that the logging of this forest is financing the expansion of his firewood business and funding the construction of a big, new firewood shed! Really? It’s fascinating that VicForests have bothered with a media release focusing on firewood. Why would you even mention firewood, just about the lowest quality forest product available, when you’re main argument has always been that this logging is sawlog-driven? Could it be that the purported market for sawlogs is just a teensy weensy bit overstated? 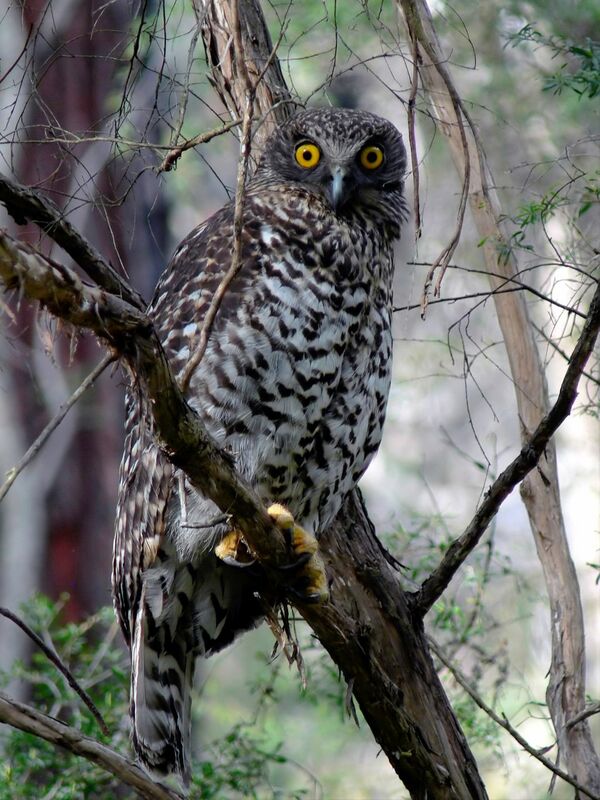 This entry was posted in Forest Issues, Uncategorized and tagged firewood, logging, Powerful Owl, strathbogie ranges. Bookmark the permalink. This natural habitat for our native fauna and flora must be consrved and protected. When does the connect between nature and our quality of life begin?And the realisation that all burning of fossil fuels from coal power stations through to small domestic heating is adding carbon to our atmoshere, heating the planet and will ultimately destroy human habitation if not stopped. Although this is happening worldwide there are many enlightened people fighting for what is right-and that is the protection of our old growth forests, enabling the ecosystems within to flourish. These eco systems interconnect with our health and our lifestyles and it is not acceptable to think that “one more patch of forest” will not hurt. It does and it will. We need leadership, someone with integrity to stand up for the old growth forests and for our childrens legacy.